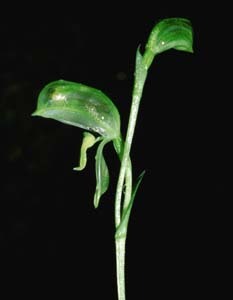 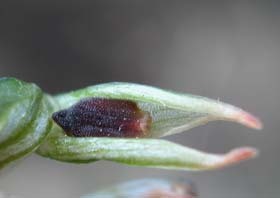 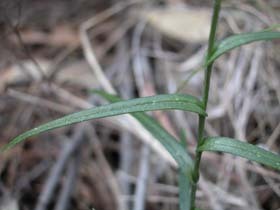 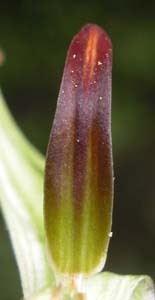 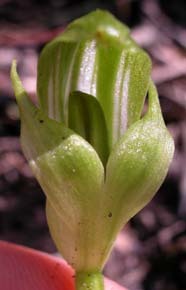 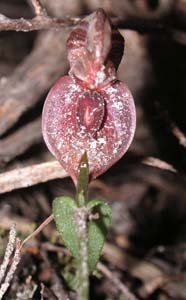 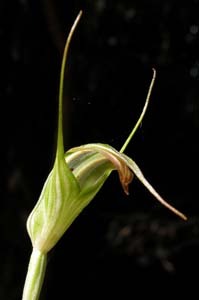 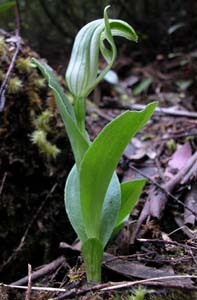 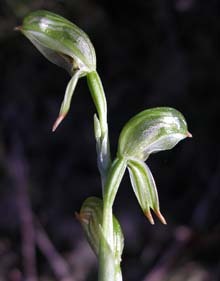 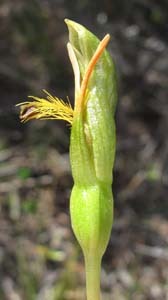 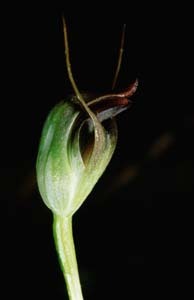 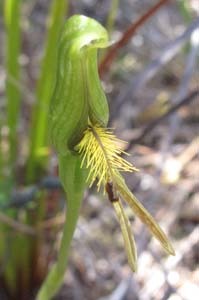 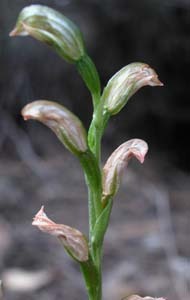 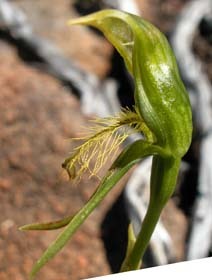 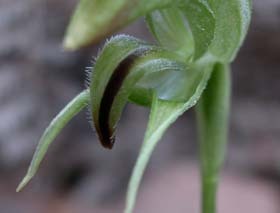 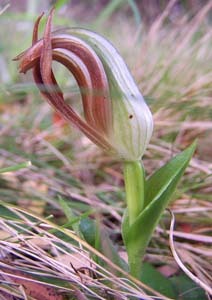 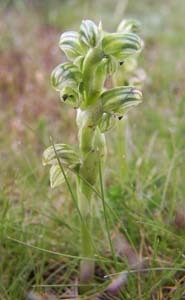 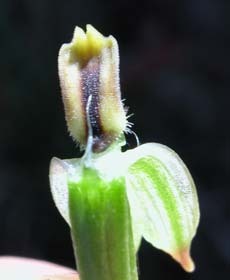 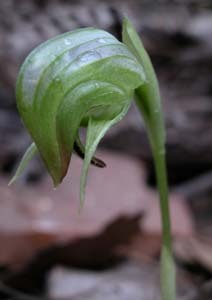 Pterostylis (Greenhoods) is one of the largest of Tasmania's genera of orchids, with 36 species currently recognised. 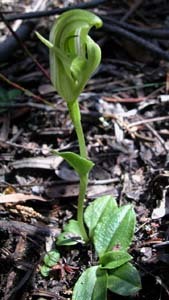 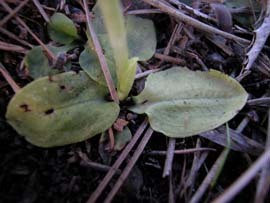 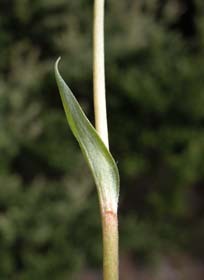 The plant has several narrow leaves growing from an erect stem that bears several to many, widely spaced flowers. 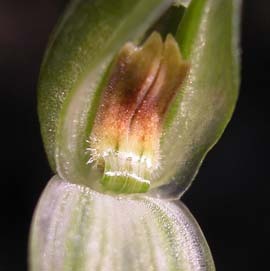 The flowers are unmistakeable - the dorsal sepal and lateral petals are fused together to form a large hood over the other flower parts. 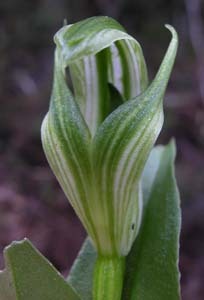 The hood is often green or green with white stripes, and is often somewhat translucent.